Elise Dufour specialises in new technologies law. She advises French and international clients on digital projects (IT, personal data protection, and e-commerce law). The online protection of intangible assets (reputation management, AdWords policy, domain name and new extension strategy, domain name recovery). More generally, Elise advises clients on all of their e-commerce initiatives (online and mobile applications). Before joining Bignon Lebray, Elise began her career alongside Nathalie Dreyfus, the founder of Dreyfus et Associés. She then joined Alain Bensoussan in 2007 as director of the Internet Department. Elise is President of Cyberlex, a IP/IT expert organisation and has been recently appointed as an expert by WIPO. 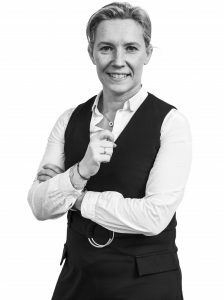 With more than 10 years of experience in IT law, Elise is extremely involved and active in the new technology sector.